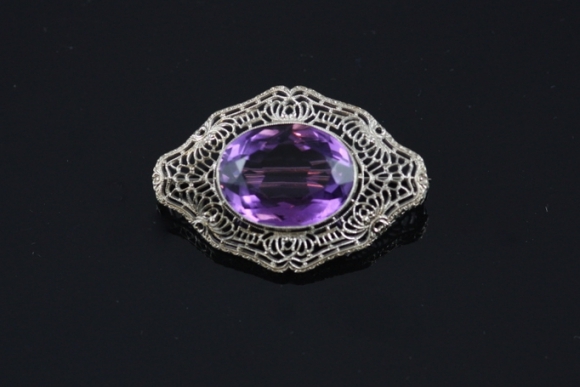 14K white gold filigree and oval amethyst brooch. Lacy filigree typical of the Edwardian period. Circa 1915.